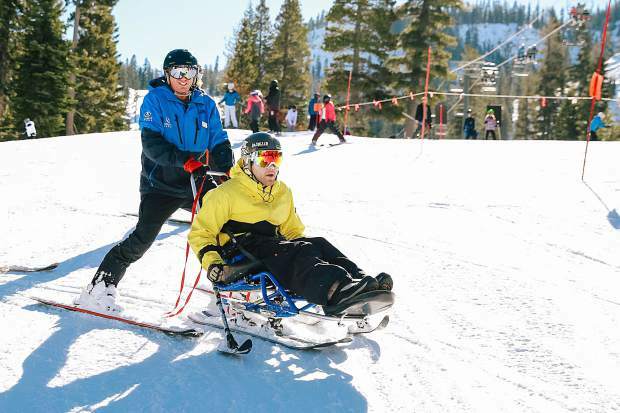 Achieve Tahoe hosted their “Ability Celebration & Winter Ski Festival,” an annual military sports camp for injured a veterans and their family members from across the country in North Lake Tahoe. The program provided 30 participants with complementary ski and snowboarding lessons, overnight accommodations in the Village at Squaw Valley, meals provided by local restaurants, and transportation. 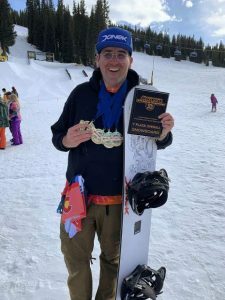 It was sponsored by Anthem Blue Cross, Squaw Valley Alpine Meadows and Warfighter Sports, a program offered by Disabled Sports USA. Participants from all over the country traveled to North Lake Tahoe to participate in specialized private ski and snowboard lessons, with each lesson specifically designed to support their physical therapy needs, boost their emotional well-being, build their confidence and strength, and ultimately help their reintegration back into day to day normalcy. Veterans in attendance were encouraged to bring their friends or family along, to provide them with support and encouragement, and even participate alongside with them in activities. “We like to include the spouse or family member, because then they get to do something together. Sometimes the caretaker gets overlooked, and they’re going through a lot as well with their new reality. This gives them the chance to do something for their loved one, and also themselves. Ten – 12 years ago, we didn’t allow then to bring anyone along. We’ve seen much better results when they have a support system,” said Lang-Ree. Participants were offered an optional additional day of skiing and snowboarding, and more than half of veterans agreed, eager to get back on the mountain and be physical despite their sore muscles. Many veterans and their companions had never skied or snowboarded before, this event being their first experience. About a third of participants were sit down skiers requiring special equipment, due to the severity of their injuries. His wife, Gina Luberto, was also in attendance. Veteran Raymond Hernandez rode on the new Dynamic model, a hybrid sit down ski device with two skis, instead of the more common monoski model which requires balance on only one ski. This new model tested this year has better seating configuration, and an easier on and off with the chair lift. Lang-Ree said this also gives the rider more independence. 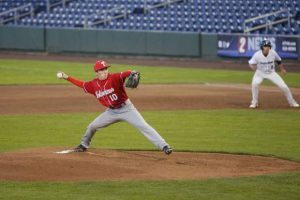 Contributions cover all expenses for participation of the warrior and a family member, including individualized adaptive instruction, adaptive sports equipment, transportation, lodging and meals. Since 2003, more than 12,000 of the most severely wounded and their families have been served, including those with amputations, traumatic brain injury, spinal cord injury, visual impairments, and significant nerve and muscle damage. 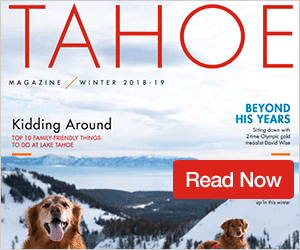 Achieve Tahoe is a leading provider of winter and summer adaptive sports instruction for adults and children with disabilities. 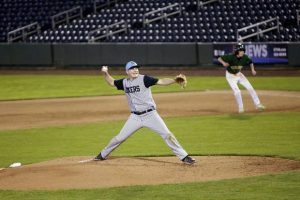 Their sponsor, The Warfighter Sports program, was designed to offer sports rehabilitation for severely wounded warriors in military hospitals and communities across the U.S. through a nationwide network of over 120 community-based chapters of Disabled Sports USA. Kelsie Longerbeam is a reporter for the Sierra Sun and North Lake Tahoe Bonanza. She can be contacted at klongerbeam@sierrasun.com or 530-550-2653. Follow her on Facebook, and Twitter and Instagram @kelsielongerbm.